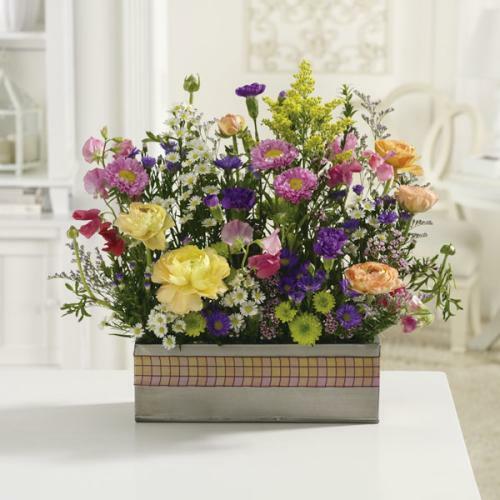 Ring in Spring with a bright spring mix. 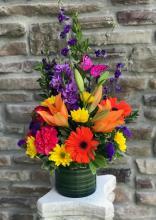 Locally grown flowers starting to come in. 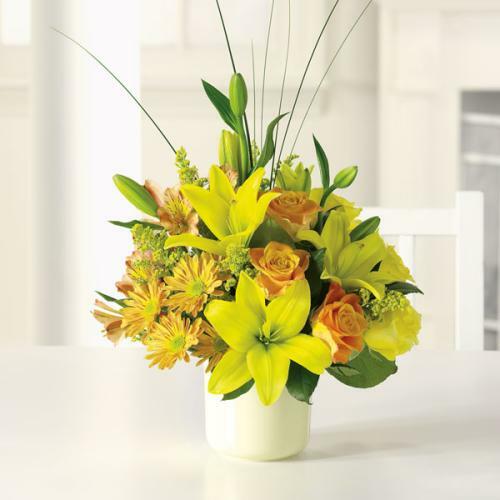 The simple grace and beauty of a lily is beyond compare. 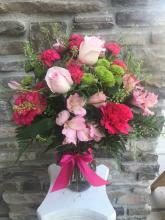 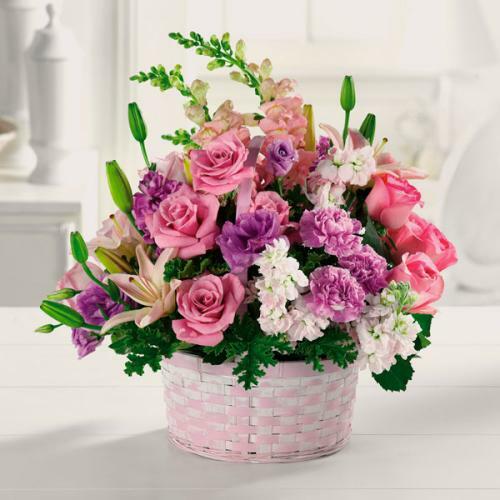 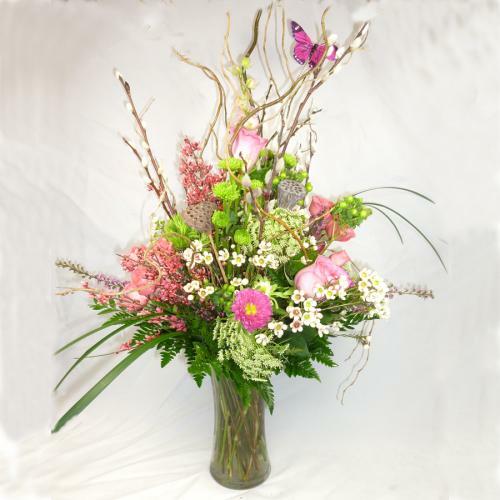 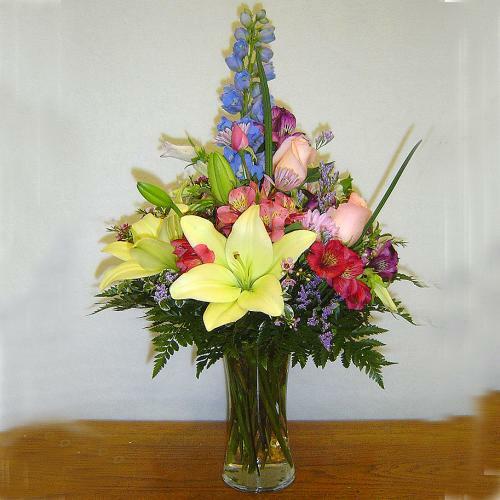 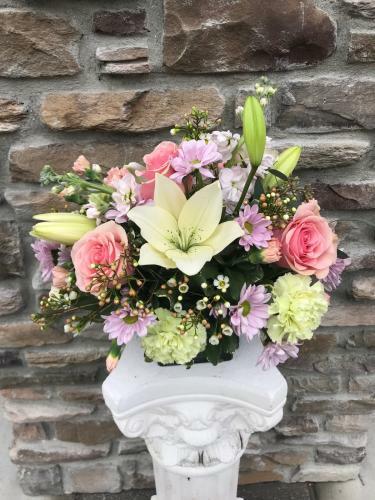 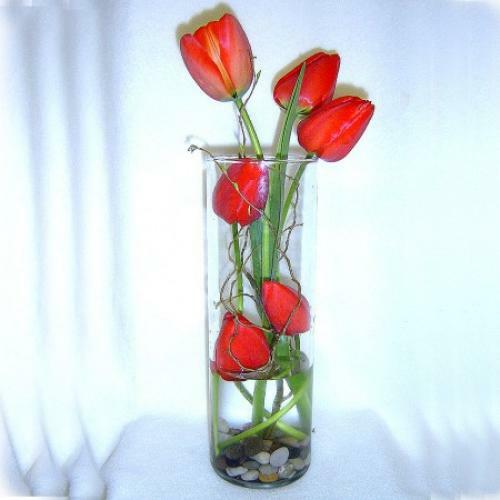 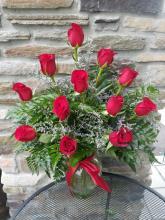 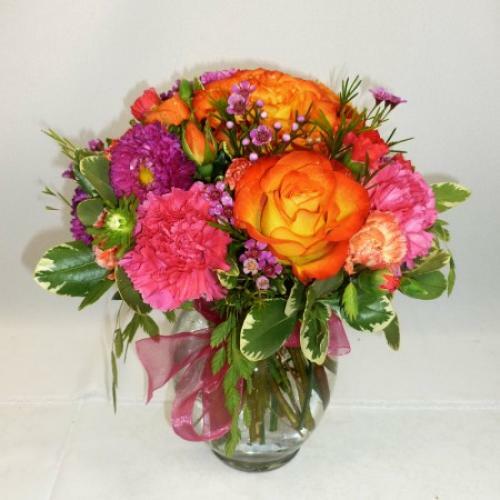 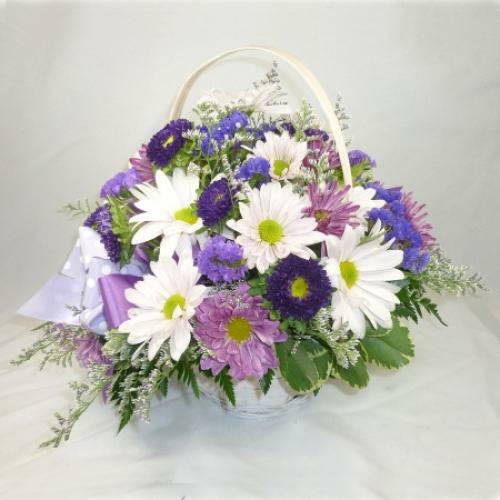 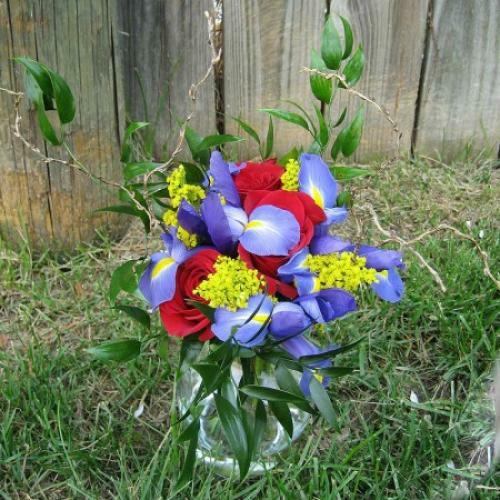 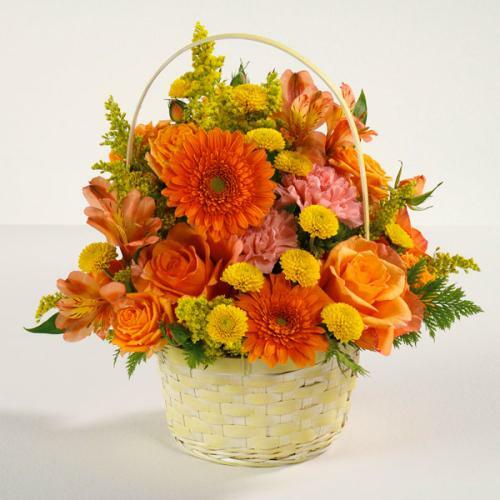 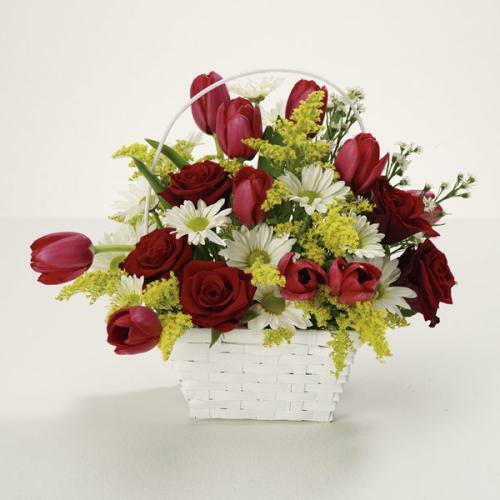 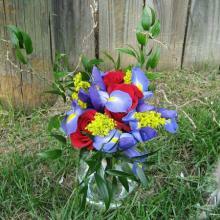 This elegant arrangement centers on just that form. 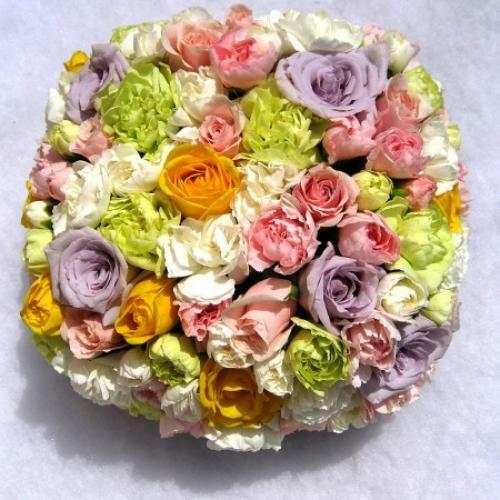 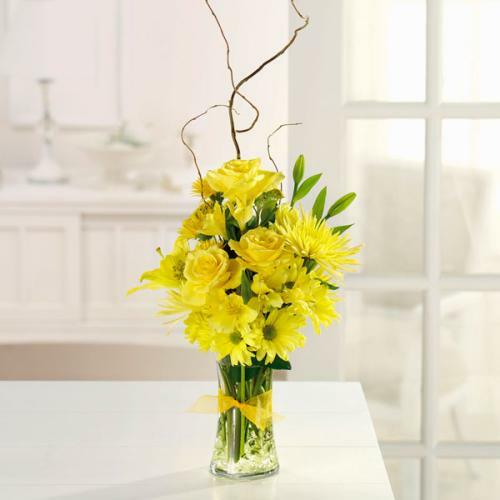 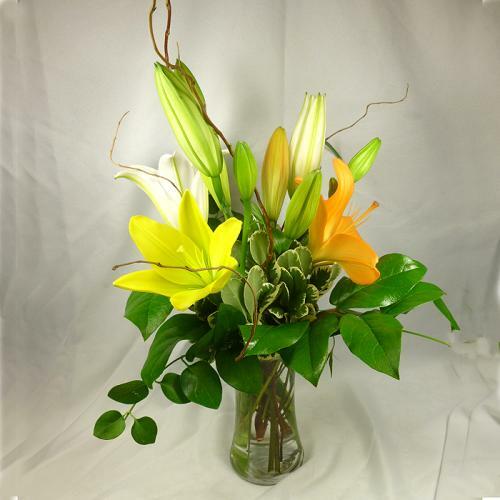 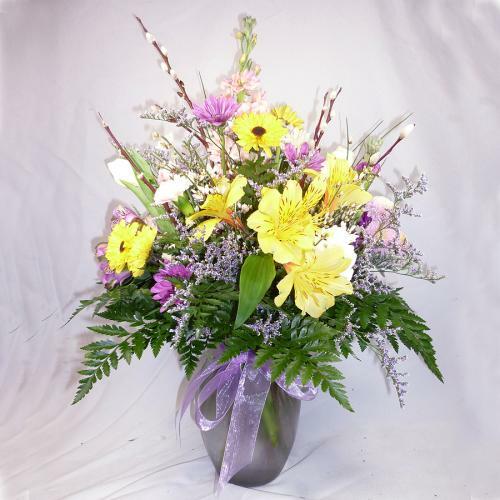 Sunny yellow roses, mums and lilies rise from sparkling glass stones - a bright and cheery centerpiece for any table! 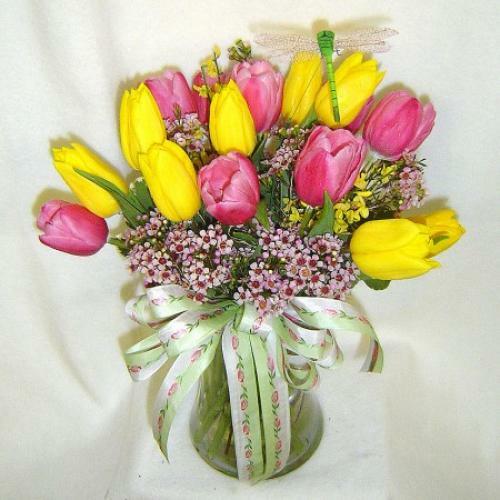 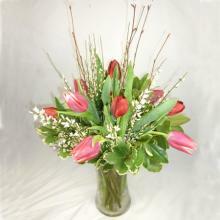 If you love tulips, you can't resist this vase chock full of them, just bursting out of a bed of waxflower and genestra.